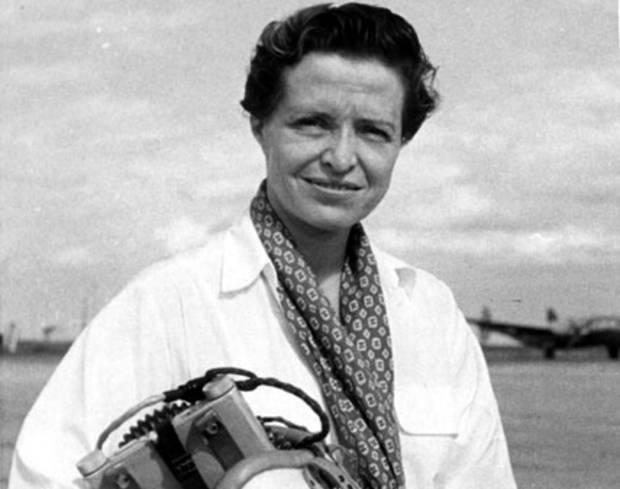 Jacqueline Auriol (1917-2000), aviatrice française. 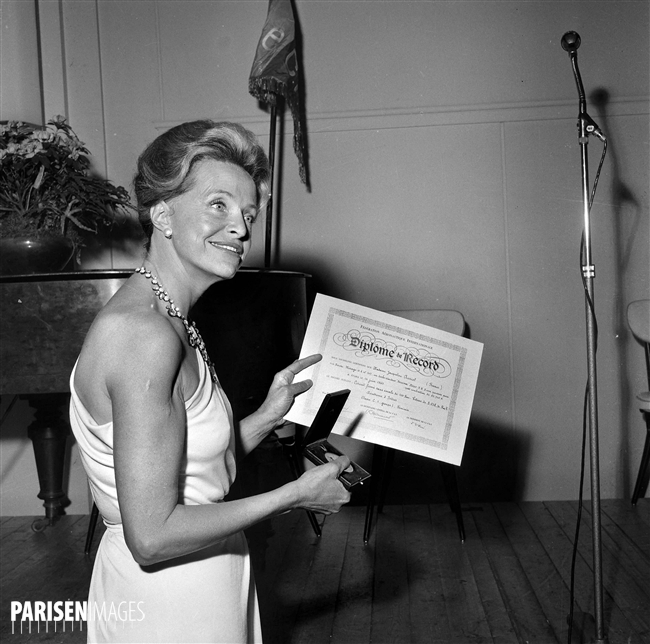 Remise du Record international féminin (14 juin 1963) par Jacques Allez, directeur de l’Aéroclub de France. Paris, janvier 1964. The Mirage III R is a single seat, single-engine, supersonic all-weather reconnaissance variant of the Mirage IIIE delta-winged fighter. The nose is modified to carry five cameras. Radar and weapons were deleted. The Avions Marcel Dassault Mirage IIIE was 15.03 meters (49 feet, 3¾ inches) long with a wingspan of 8.22 meters (26 feet, 11½ inches) and height of 4.5 meters (14 feet, 9¼ inches). The interceptor’s empty weight was 7,050 kilograms (15,543 pounds), and maximum takeoff weight was 13,700 kilograms (30,203 pounds). 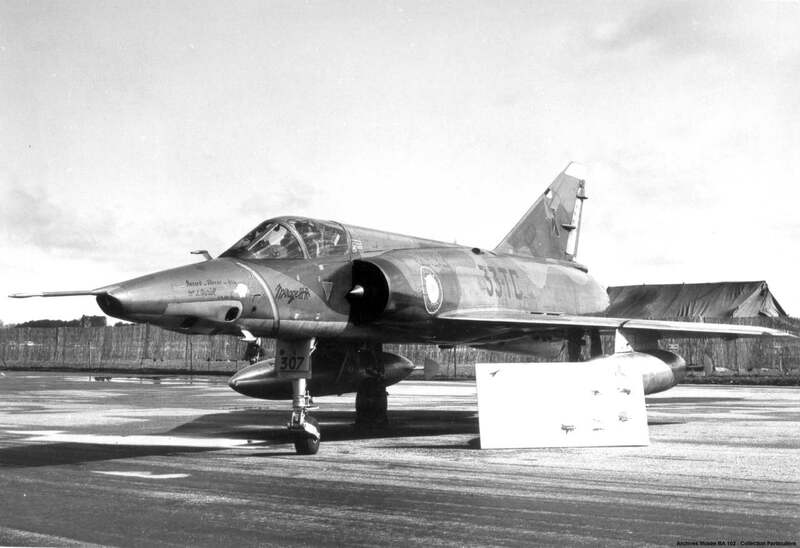 The aircraft flown by Jacqueline Auriol was powered by a Société nationale d’études et de construction de moteurs d’aviation (SNECMA) Atar 09C single shaft, axial-flow turbo-réacteur (turbojet engine) with afterburner. The engine used a 9-stage compressor section and 2-stage turbine. It was rated at 9,430 pounds of thrust (41.947 kilonewtons), and 13,669 pounds (60.803 kilonewtons) with afterburner. The Atar 09C was 5.900 meters (19 feet, 4.28 inches) long, 1.000 meters (3 feet, 3.37 inches) in diameter and weighed 1,456 kilograms (3,210 pounds). The Dassault Mirage IIIE had a maximum speed of 2,350 kilometers per hour (1,460 miles per hour). Its service ceiling was 17,000 meters (55,774 feet), and its combat range was range 1,200 kilometers (746 miles). 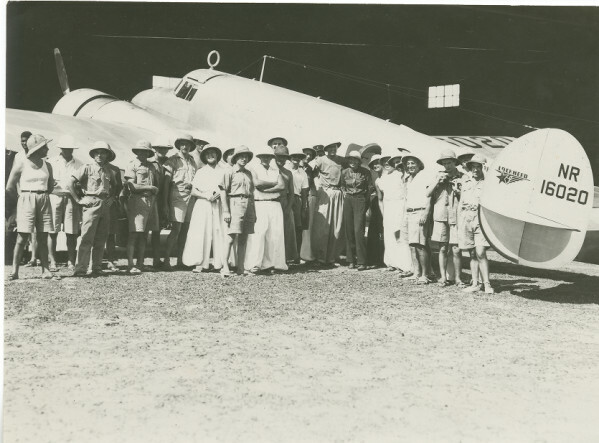 14 June 1937: Leg 17. 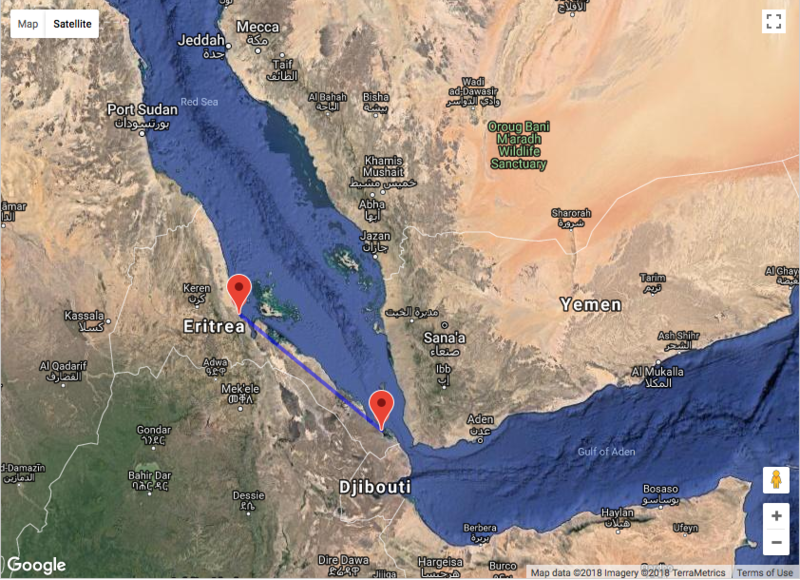 From Massawa, Amelia Earhart and Fred Noonan fly their Lockheed Electra 10E, NR16020, 284 miles (426 kilometers) down the coast of the Red Sea to Assab, Eritrea, to prepare for the next long flight to Karachi, India. 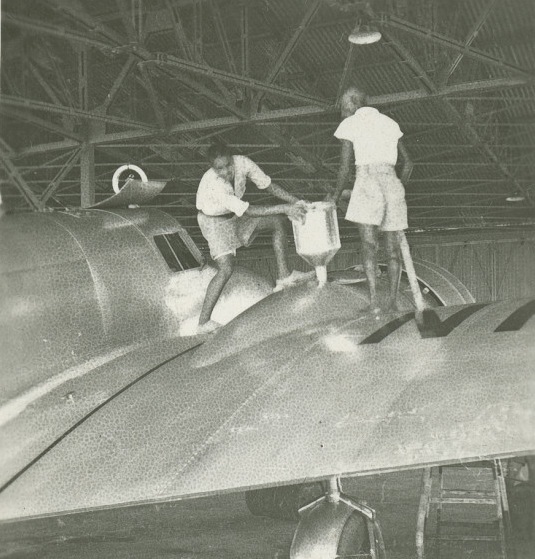 They have the aircraft serviced and fueled then await the morning.